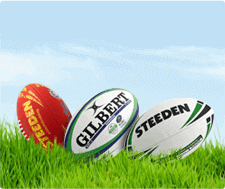 The Direct Couriers 2013 footy tipping competitions are open for registrations. Joining our tipping competitions is easy. For registration instructions and competition rules, please refer to the DIRECT COURIERS FOOTY TIPPING page on our website. Or click the REGISTER buttons below. More information can be found within the 'Competition' section of each tipping competition. If you have any questions about our tipping competitions or for assistance registering, please phone our office on 13 16 10.